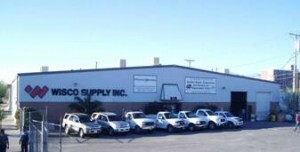 Wholesale Industrial Supplies in El Paso | Wisco, Supply Inc.
Wisco Supply, Inc. is an industrial supplies wholesaler in El Paso that services businesses throughout the southwest. For 50 years, we have provided businesses of all kinds with superior products and services. We are a Wholesale Distributor of Industrial Supplies & Equipment. We provide a wide variety of industrial supplies to the private and government sector. We offer maintenance and repair services for air compressor equipment. Our staff consists of very capable and dedicated individuals who can achieve the results you expect. Our professional organization is made up of friendly, dedicated individuals who are always ready to meet the needs of our customers. On January 3, 1968, our company was founded as an independently owned and operated company. The company was originally founded as W.I.S. 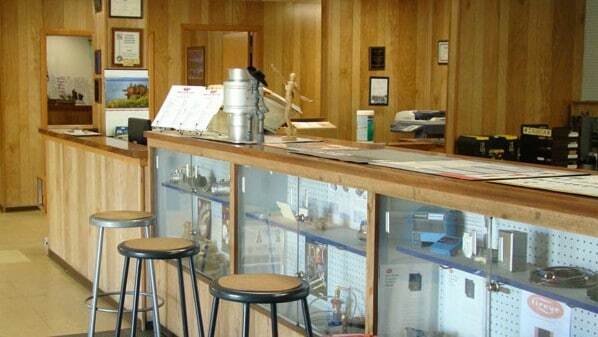 CO., Inc. and was originally formed in 1967 as a subsidiary of Wyler Industrial Works, Inc. The walk-in trades associated with boiler and compressor parts were disrupting the primary activities of Wyler, so the parts and supply functions were isolated away from the parent company. W.I.S. CO., Inc. was established as an independent company in 1968 and moved to 802 S. Virginia St. The company purchased Harper Industrial Supply, Co. the same year and integrated that company, its personnel, and product lines into the W.I.S. CO., Inc. Organization. W.I.S. CO., Inc. began to grow, slowly adding more people, acquiring new product lines and developing a reputation within the El Paso business community. In April 1981, W.I.S. CO., Inc. moved into its new facility at 815 S. St. Vrain St. where it is still presently located. In May of 1985, W.I.S. CO., Inc. was changed to Wisco Supply, Inc. This allowed us to utilize the same name in Arizona, New Mexico, and Texas and to acquire stores in those states. 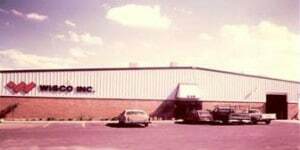 On September 26, 1986, Wisco Supply, Inc. purchased NEWMAC Supply Co., Inc. in Albuquerque, New Mexico. This was done to give us access to products that were used by the mining companies in New Mexico. The NEWMAC name was changed to Wisco Supply, Inc. in December 1986 and merged into the parent company. In February of 1996, Wisco Supply, Inc. wanted to branch out into other states and did so by purchasing Boiler Specialty Supply, Inc. (BSSI), also in Albuquerque. BSSI was the premier boiler parts supplier in New Mexico along with Cleaver Brooks Representative. In January 1997, the BSSI name ceased to exist and instead adopted Wisco Supply, Inc. as its name. This change was to give us name recognition in three states and two countries. Since our founding, we have dedicated ourselves to helping businesses of all kinds. We look forward to helping you as well! All of our employees are trained and certified to handle the job you need to have done. We’re dependable, resourceful, and dedicated to providing excellent customer service to anyone who calls us for assistance. Our technicians are certified to work with compressors and can provide you with the services you need. We’ve won numerous awards for our service and are members of the BBB. We guarantee you will be satisfied with our services. If you’re in need of industrial equipment or supplies, give us a call today. We’re always happy to help!